Der Concentus21 Orchestra established in 2004 is a traditional community orchestra. Members share their love of music and motivation to play in concert regularly. 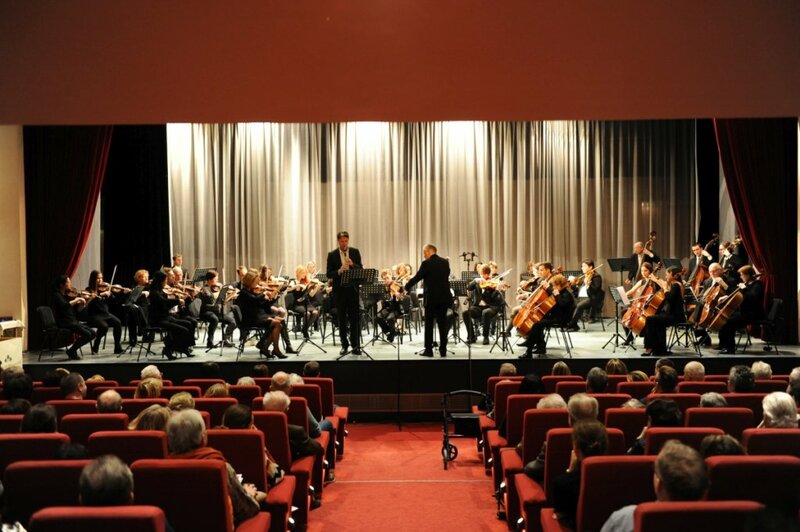 The repertoire comprises music from the classic and romantic eras, as well as some Viennese music. We emphasize on bringing the lesser known works to the stage they deserve. Working with renowned soloists or playing in opera productions provide great experiences for ambitious amateurs. 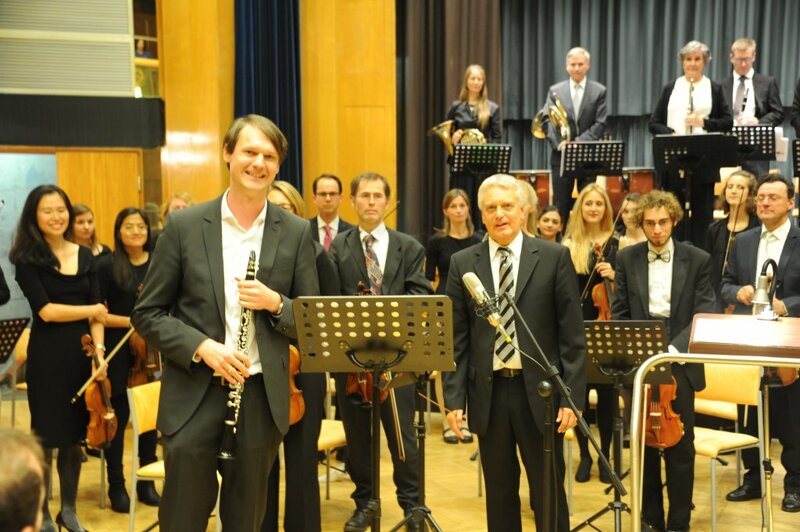 Our artistic director and conductor Herbert Krenn is rooted in the Viennese tradition of music making which he very successfully passes on to the members of the orchestra. It's been 15 years since the orchestra was founded. We'll celebrate this occassion with a gala concert. Please be invited in joining us in celebration. 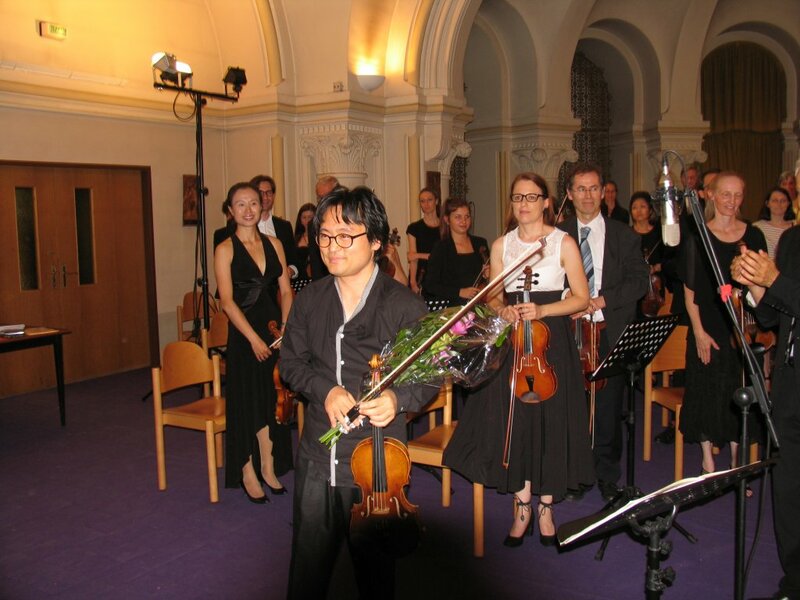 Besides a festive musical programm there will be a celebratory reception after the concert. (Thanks to Henkell Freixenet Austria for a generous donation of sprakling wine!) Gerald Grün is going to perform the trumpet concerto by Hummel. 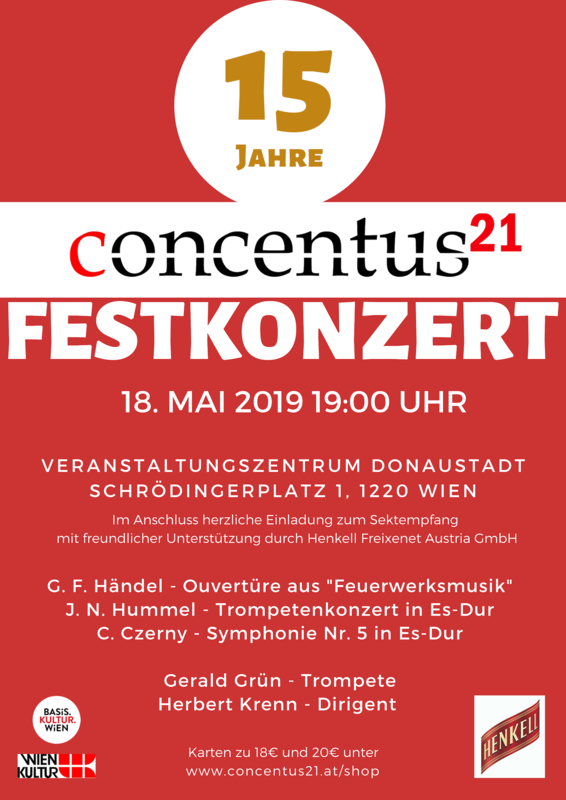 Händels Music for the Royal Firworks and a symphony by Carl Czerny will also be performed by the orchestra. 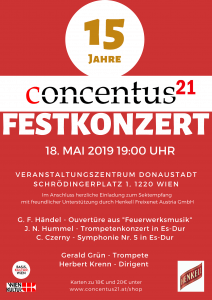 Gala concert "15 years Concentus21"